Who doesn’t enjoy a rich, crusty piece of apple pie? And if it’s warmed and topped with ice cream or whipped cream, all the better. But if you want to save on calories, why not try baking apples until tender and then using a low-calories version of vanilla ice cream as a topping? 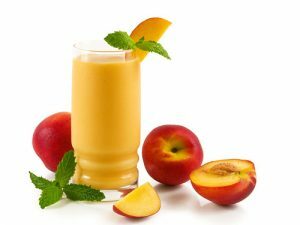 It’s a healthier option and you’ll still enjoy all the pleasure of the sweet, apple taste and you’ll save several hundred calories. All sweet baked goods rely on fats and oils for their rich texture and flavor. But you can successfully substitute pureed fruits for oil and come out with a similar product. Your muffins made with applesauce or pureed pumpkin rather than oil will be moist and tasty. Your cakes using pureed raspberries, strawberries or rhubarb will be soft and delicious. Use your imagination to come up with fruit combos you enjoy and then eat your cookies, cakes and muffins with no guilt. Cookbooks and online cooking sites are filled with low calorie dessert recipes. 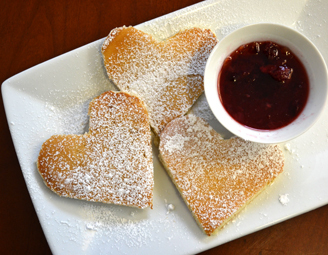 You’ll see many gelatine desserts, many substitutions for oils, butter and dairy toppings. You’ll see a lot of fruit with just a small portion of cake, shortcake, biscuit and the like. It will be a personal decision whether or not to use artificial sweeteners. They make the dessert taste like it’s full of sugar, but many people believe they aren’t healthy to eat. Get in the habit of substituting all or part of the high calorie items in a recipe. You can use yogurt or frozen yogurt in place of cream or ice cream. Soy milk and yogurt with honey can be substituted in place of whipped cream. Any recipe calling for whole milk can be reduced in calories by using skim, 1% or 2% milk instead. There are fat free cream cheeses and low fat sour creams. Substitute egg white for at least part of the egg requirement in any recipe. It may seem like a lot of work to change your dessert recipes. But if you save even 100 calories in a dessert serving, the result will add up to significant weight loss over time. Do a little kitchen research and see which favorite recipes can successfully be “low-caloried” without losing the delicious flavor we so love in our desserts. 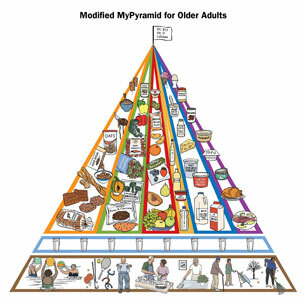 Seniors, Are You Eating an Age-appropriate Diet? February 23, 2012 juliet Comments Off on Seniors, Are You Eating an Age-appropriate Diet?